2016 was not only the year of big stars. It was also the year of fresh faces as well as character actors who shocked and suprised with their perfomence. It is indeed healthy for any movie industry to have movies where people despite of their star value are given roles through which can prove their talents. Kammattipaadam is one among those movies where most of the stars were fresh faces and they have gained attention more than that of the lead actor Dulquer. Dulquer despite of being such a big star became a part of movie where major share of the perfomence in the movie was for other actors. He has to be congratulated for being a part of Kammattipaadam. He himself has said what made him a part of Kammattipaadam is the brilliant story and script nothing else. These are the roles and actors who shocked us in 2016 with their perfomence. 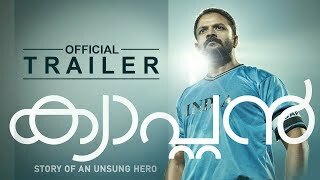 What made Action Hero Biju special and unique is that the level of originality the director has managed to incorporate inside the movie. For that what he did was he gave lot of oppurtunities to fresh faces . Director Abrid Shine made them behave like exactly what they will if they were inside a police station. Lots of interesting characters are there in the movie and the most interesting one is that of a drunkard who gets arrested for misbehaving in front of public. Suresh Thampanoor is the actor he has done his part well. Due to the originality and the plot the scenes were hilarious and has earned him lot of fame. The song "Muthe Penne Pinangalle" in one of the scenes has been wrote and tuned by Suresh Thampanoor himself. The song became viral in internet. Action Hero Biju is full of characters whom we have come across lot of times in our life and that is the main reason for the success of the movie. 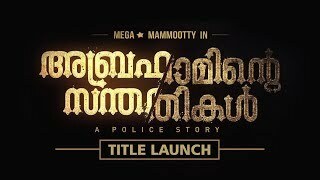 Nivin Pauly is in the title role of the movie. There was a scene in the movie where Pavithran sits in front of Biju (Nivin Pauly) the SI, Pavithran says that his wife has eloped with his friend and her child is with them. At the end of the scene her wife without any emotions says that the child is not Pavithran's and she wish to live with her lover rather than her husband. pavithran's reaction and dialogues to her wife's comment will make any one cry. Suraj has done his career best performance in the movie Action Hero Biju and he shocked everyone with that and proved his talent once again. Alancier is gem that has been dug out by Rajeev Ravi through the movie Njan Steve Lopez. Within his short career span he has earned the name of goof actor. Maheshinte Prathikaaram is one of his best. There is a scene in which he pretends having an heart attack so that his friend Mahesh can talk to his girlfriend. Alancier performed in that scene exceptionally well and has proved that he will soon be one of the most demanded actor in Mollywood. Biju Menon at first was a typecasted as a matured lover in most of the movies. However at certain point of time he re-invented his career and till now has been a part of movies in which he has the scope to perform well. But the most daring role in his career would be Kuttiyappam from the movie Leela. His role as a man with twisted sexual desires was safe in the hands of Biju Menon. The disturbing climax was indeed to much for many. Even though Leela was a flop Biju Menon's acting would not be forgotten and will always be the best in his career. Vijayaraghavan is a gem of an actor and he has proved it multiple times. Any how his role as the loyal Pillechan will always be one of the best in his career. His role had a shade which Vijayargahavan has never came across in his actign career. Some of the hilarious moments in Leela was due to the stupendous acting of Vijaraghavan. Without no doubt anyone can say that Thankappan Nair is the best in jagadeesh's career. His role as a evil father who sexually abuses her daughter was indeed disturbing to watch. The actor has played that role brilliantly. His role was indeed shocking and need a lot of guts. Jagadeesh role is indeed the most shocking one in 2016. Vinayakan has always been careful regarding the movies that he choose, He is keen that the movie he choose should be unique and his role should be remembered forever. His role in the movie kammattipaadam is the best in his career. The movie mainly tells the life of people that lived before the concrete jungle in Kochi. Vinayakan had the most to perform in the movie and he has utilized the opportunity very well. Kammattipaadam is manikandan's first movie. He is not all an actor when he appeared for this movie and it might have been the intention of director too. Balan's reaction in most of the scenes was original and his famous dialogue "Ninak Adikkano Da" became viral in internet. Manikandan has done the role exceptionally well as he had a lot to perform in the movie. Anil Nedumangad is a gem of an actor which has been in left undiscovered for a long time. Kammattipaadam revealed the true actor in him. His role as traitorous Surendran Ashan is exceptional and the actor has shown us that he is someone that we need to look out for in the coming years. Abhija Sivakala has done a brilliant performance as a ruthless and disloyal wife in the movie Action Hero Biju. Even though she only had one scene in the movie it was remarkable and was capable enough to show her talent. Ozhivudivasathe Kali directed by Sanal Kumar Sasidharan has Abhija in a maid's role. The character was safe in her hands. Lakshmy Ramakrishnan made one hell of a comeback through Jacobinte Swargarajyam. Once considered as an unlucky actresss Lakshmy proved that it has nothing to do with her and showed her talents. The bold and beautiful Sherly jacob was indeed good to watch. It is indeed a known fact that Murali Gopi is an exceptional script writer and a brilliant actor. Pappanekkurichum Varkeyekkurichum is an ample example of his acting skills. His role as old Devassy was hilarious and touching at the same time. Even though the movie was left unnoticed by viewers. His role will be always considered as one of his best in his career. Lijomol is in the budding stage of her career. However the actress perform in a way that it has a lot of naturality in it. Maheshinte Prathikaaram and Kattapanayile Rithwik Roshan without no doubt will add a lot of mileage to her career. Rambo is absolutely hilarious. Even though the actor has been in comedy roles couple of times in his career. This will be the first time that serious villain has able to inflict fear as well as humor in to people. Mudhugauv is obviously a underrated movie if the movie would have been a success Vijay Babu as an actor would have got a lot of mileage. Thejas Varky is so far the best in Tovino's career. It was unfortunate that Guppy failed in box office. And it is cruel that the movie has been illegally downloaded a lot and people started talking about the movie over and over. What makes Tovino's role stand apart is that the his role will not give a clue that he is a good person or not. It will be kept as a surprise till the end which worked out very well for the movie. Even though Vishnu has been a part of lot of movies in the past. It was never in anybodies wildest dreams that he will be in a lead role of a movie. This surprise element has intrigued a lot of people. His Role in Kattapanayile Rithwik Roshan was indeed good and the actor has shocked everyone with his performance.